Dental erosion and decay occurs when acids leach calcium and phosphorous out of your tooth's enamel, the strong cover that protects the visible part of your tooth. Dental erosion is irreversible. Once the enamel is gone, it is gone forever. Dental erosion is an epidemic amongst our youth because their teeth are not yet hard enough to withstand constant acid attacks. Dental erosion from sports drinks and non-colas can be 11 times greater than drinking other beverages. 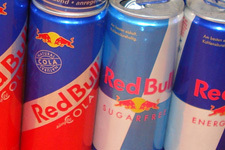 The worst offenders are energy drinks, canned iced tea and bottled lemonade. Exposing teeth to those beverages for only 14 days produces damage equivalent to 13 year's normal beverage drinking exposure! Stopping dental erosion and decay can be done by limiting how much and how often you drink acidic beverages. Drink an acidic beverage only with a meal. Wait at least 20 minutes before brushing because your tooth enamel will be soft and vulnerable during that time. In the meantime, rinse your mouth with plain water. Drink 100 percent fruit juice, fluoridated water, milk or a less acidic beverage. To increase saliva flow, chew gum that is made with the natural sweetener, xylitol. An increased saliva flow neutralizes acids that destroy enamel. During your regular check-ups, we watch for signs of dental erosion and can make recommendations that will help you keep your dazzling smile! Is it time for your check-up? Call us today.